By 2030, more than 60% of the world’s population will live in cities, raising the central questions: How can we realise individual mobility in more and more densely populated urban areas? What concepts do we need to be able to organise traffic in a resource-efficient and climate-friendly manner? If we are to deliver on the promises of the Sustainable Development Goals (SDGs) and the global development agenda, we must make access to safe and sustainable mobility for all a priority now. 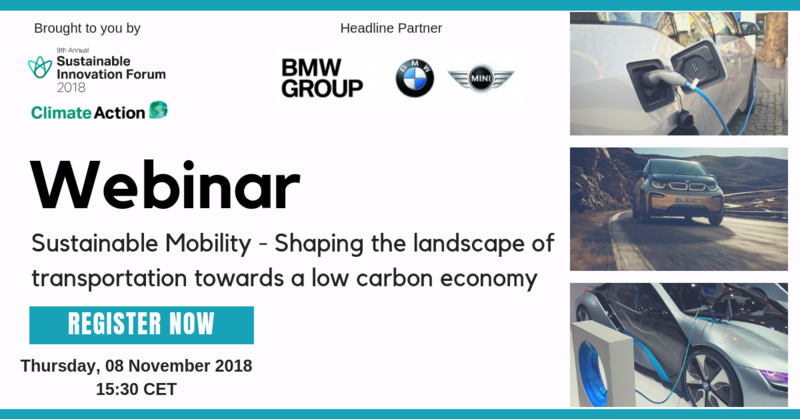 Keep updated by hearing from key industry leaders, including BMW Group’s Vice President Governmental Affairs, Dr. Thomas Becker alongside Matt Petersen President and CEO of the Los Angeles Cleantech Incubator (LACI) and Janusz Reiter, Chairman of the Board of Solaris from Poland about this important sustainable mobility topic through this webinar.